EXPERT GUIDANCE: Aunt Penny specializes in dog and baby/toddler interactions. 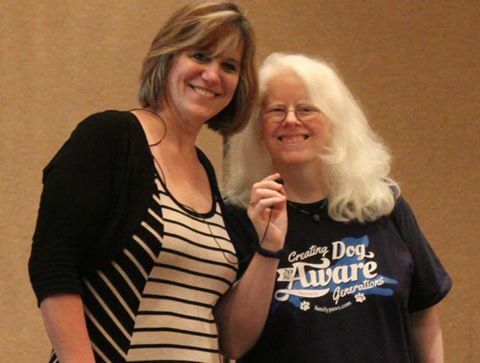 She is a highly qualified professional and is licensed to present the International Dogs & Storks® and Dogs & Toddlers™ programs as well as offering a variety of services related to dogs and children. The Dogs & Storks program is perfect for expecting families with dogs as they prepare for life with baby. We offer positive, practical, and fun solutions that will help you include your dog once baby arrives. We want to help ease families into the transition from pet parents to baby parents with pets. What does that growl mean? Attendees will be given a password to access the handouts, links of where to find products, and indoor games for your fur kids. Can’t make one of these classes? Contact Aunt Penny for options! To register at Magee, call 412-641-8096. Dogs & Storks is a humans-only lecture presented in a hospital setting. No dogs, please! We do offer a class that INCLUDES the dogs: Dog Ready for Baby.